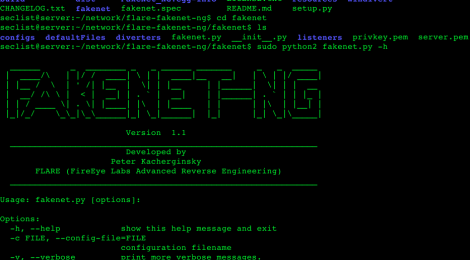 Browse: Home / FakeNet-NG – Next Generation Dynamic Network Analysis Tool. The configuration file is broken up into several sections. 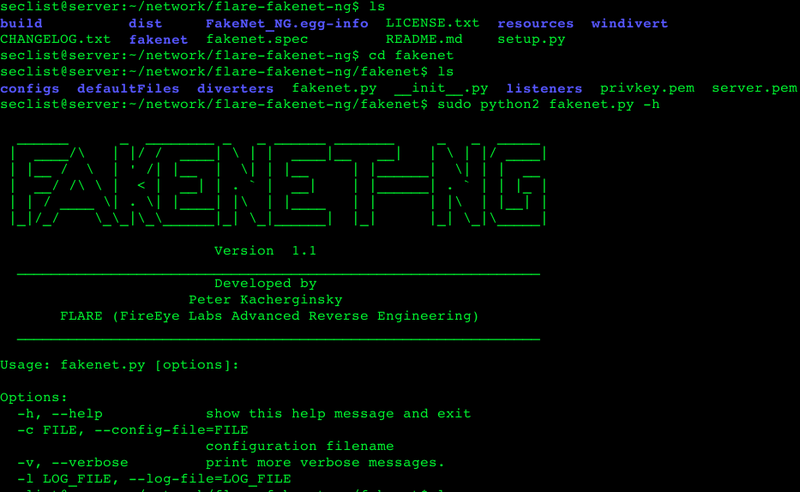 * [FakeNet] – Controls the behavior of the application itself. The only valid option at this point is DivertTraffic. When enabled, it instructs the tool to launch the appropriate diverter plugin and intercept traffic. If this option is disabled, FakeNet-NG will still launch listeners, but will rely on another method to direct traffic to them (e.g. manually change DNS server). * [Diverter] – Settings for redirecting traffic. Covered in detail below. * [Listener Name] – A collection of listener configurations. Each listener has a set of default settings (e.g. port, protocol) as well as listener specific configurations (e.g. DumpHTTPPosts for the HTTPListener). 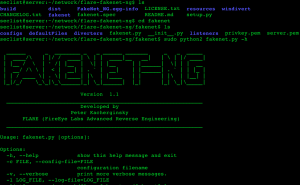 ← Florid – a ctf active scanner.